At the Island Honey Wine Company we produce the world's oldest fermented beverage "MEAD", also known as "Honey Wine". The true flavours of PEI's fruits, flowers and honeys are featured in our award winning meads. Visit us at our working certified organic farm and see how we make mead and enjoy a complimentary sample... "take a journey through a glass on the back of a bee". 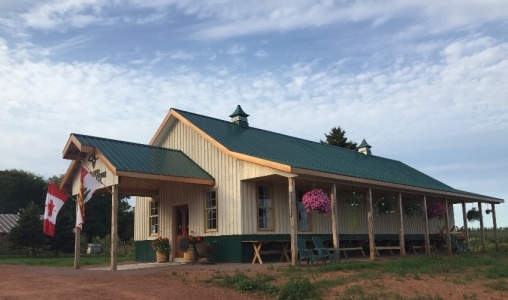 Exclusive authentic handmade PEI products can be found at the farm store. Informative farm tours with Agropreneurs Charles & Laura are available every day.